This product is specially processed through traditional technology, which is good for preparing edible bird's nest, tea, ice-cold water and various flavourings, etc. It is easy to consume and beneficial to health. 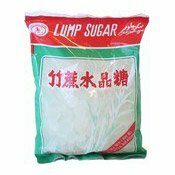 Simply enter your details below and we will send you an e-mail when “Lump Sugar (White) (正豐竹蔗水晶糖)” is back in stock!